Exit portals (often abbreviated as EP) are a way for artists to assist the rendering engine in difficult lighting situations, by specifying a "portal" through which light will travel. 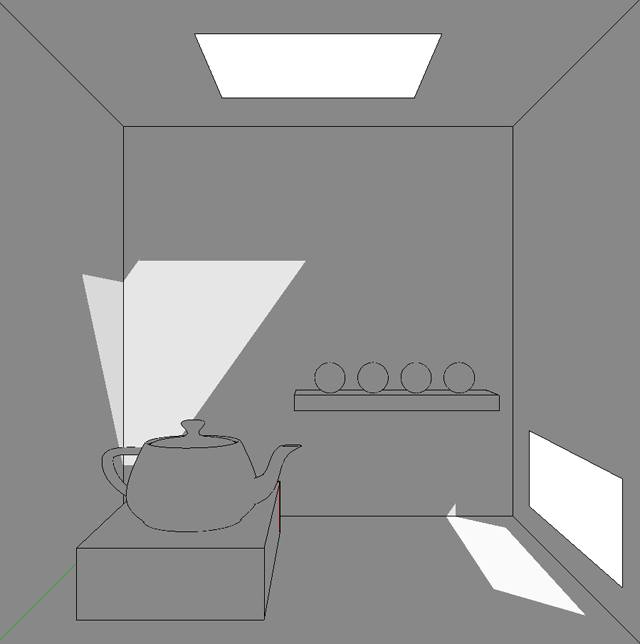 These are very useful for interior renders, where there is a relatively small opening letting in a lot of light (such as a window) that is not easily accessed - in such scenes, there is often a dramatic increase in convergence speed (since light-carrying paths are much more easily constructed). All openings through which light can "escape" (directly to the background or environment) must be covered with exit portals. The exit portal normals must point inwards. 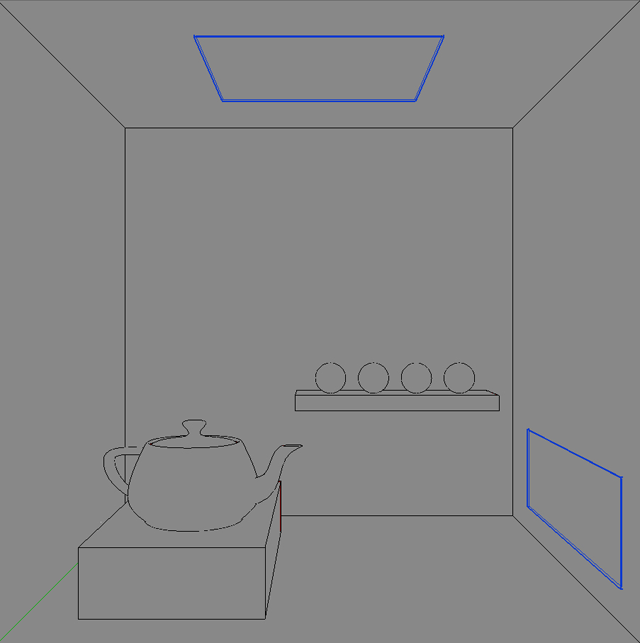 Bi-directional path tracing mode must be used. Finally, note that nothing gets rendered behind an exit portal: when a light ray strikes the portal it is assumed to immediately "exit" or escape to the background / environment, without considering any other objects in the scene. Next we create quads to cover the openings, corner to corner. There should be no gaps, and to really make sure this is the case it could be made slightly bigger than the opening and fitted inside to slightly intersect the surrounding geometry. To turn them into exit portals, simply use the exit portal material type for the object. With the exit portal created, we can now export to Indigo and enjoy the much faster convergence. If Indigo reports an error such as "Error: Scene parsing error: Model (UID 42) has a different number of materials than geometry material references", it means that the exit portal quad was merged with the surrounding objects. This won't work because we need only the quad to be flagged as an exit portal. Make sure that the front face of your exit portal object is pointing inwards into the scene! You may need to flip the group along an axis to achieve this. Thanks to Filippo Scarso / Pibuz for the example scene and helpful suggestions.